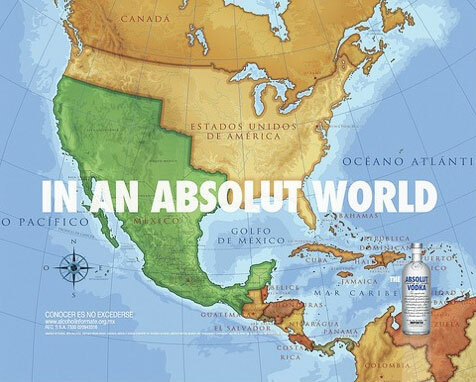 North America according to vodka. Above: From the Consumerist via John EmCee in MN. Cheers for this one, John. Los Estados Unidos, a familiar refrain. And why not? i love absolut ads i gotta say! This entry was posted by Erik Brandt on Sunday, April 6th, 2008 at 10:31 AM	and is filed under Aktuell, Globalization, International.